provide professional installation and service. In the Minneapolis/St. Paul Area. Garage Doors and Entry Doors in the Minneapolis/St. Paul Metro Area! Call us for Garage Door products, replacements and repairs. 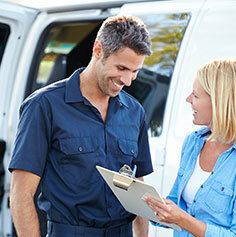 Ole & Lena’s Garage Door Service has been serving the entire Twin Cities Metro area since 1991, with an experienced team providing you with expert service exactly when you need it. 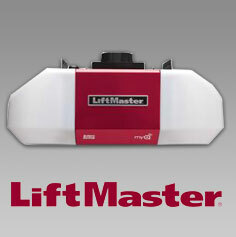 Only the highest quality products on the market are used in all our work, including the entire Clopay line of garage doors and LiftMaster garage door openers and accessories. An attractive entry door and garage door can really set the tone for your home. The right design, style, and color will attract the eye of everyone who passes by. It doesn’t matter if your home is a new construction or an older remodeled home: a new entry door or garage door from Ole and Lena’s Garage Door Service can add beauty and style. A beautiful, durable garage and entry door are not only pleasing to look at, they also provide increased safety and greater security to your home, and help protect against the elements. As garage door specialists in the Bloomington area of Minnesota, Ole and Lena’s Garage Doors is your partner when it comes to installing, replacing or servicing your residential entry and garage doors. We’ve partnered with top brand Clopay, a leader in stylish, high-quality exterior doors, to give you the widest range of choices and best value for your money. 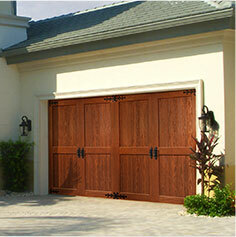 Durability: A solid Clopay door is meant to keep your personal property in the garage and strangers out. Even our affordable value line is designed to be strong and rugged and provide years of use. Protection: When the temperature drops or rises, a well-insulated garage or entry door can lower your heating or cooling costs. Your garage can act as a buffer against the outside if you are equipped with the right door. Style: Your home is your castle, and you want your castle to look its best. Beautiful Clopay entry and garage doors come in many fantastic styles, from the traditional Coachmen Series to the contemporary Avante Series. 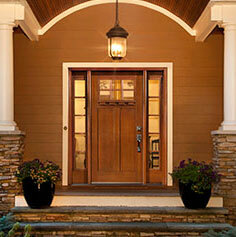 Value: Did you know that replacing your exterior doors can add value to your home? It adds to your home’s curbside visual appeal, and the benefits make it an attractive feature for potential buyers. Convenience: When you combine a smooth-opening garage door with a flawless opener, you have reliable convenience 24/7 at the push of a button. At Ole and Lena’s Garage Doors, we’ve spent years building our reputation as a trusted installer and repairer of garage and entry doors all around Bloomington, Burnsville and Eagan, Minnesota. Chances are you know someone who has an Ole and Lena door, and if you don’t, you’ve certainly seen one! You can check out all of our great entry door and garage door series right here on our site, and learn more about the details and features of each type. Take a look at our large color photos and decide which style is right for your home. Maybe you want a modern, elegant design in a color of your choice, or prefer a more traditional design for a rustic, down-home look. We have Clopay entry and garage door options for all homes and all styles, so you’re sure to find one that suits you here! Contact us today to speak with one of our customer service representatives at (952) 888-1110 or fill out the online form on our contact page. Normal business hours are 8:00 am to 4:30 pm Monday-Friday and as always, our emergency service is available 24/7/365! For commercial garage doors, entry doors, and related services, please visit O&L Door Systems, our commercial division.